Toolkit Festival makes official its collaboration with FabLab of Venice with a workshops of common interest which also involves 3D scanning with Kinect camera and for this occasion the partecipants will present the interactive installation created during the days in Venice. The workshop provides the tools to build a project based on the use of multimedia (digital sets, audio-visual performances, interactive installations, etc.). The following topics will be tackled: problems and phases in the construction of a process, from production to staging, in order to realize one’s artistic work. 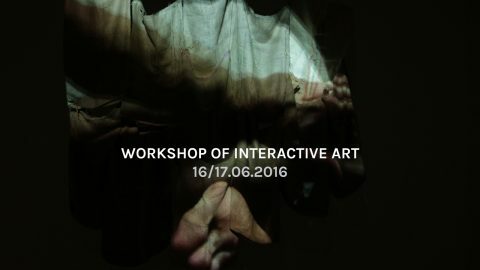 The workshop explores in terms of both theoretical and practical points of view, the aspects that make up a show of contemporary dance or an installation. It aims to further understanding of the differences in the creation of these two art forms, namely the manner and timing by which the elements are used and combined: body, music and image. In reference to the personal experience of each participant will be identified situations and spaces to pursue a strategy of production and presentation of projects to Vega, Science Technology Park of Venice, Pegaso building hall / Antares in the 22-23 June 2016.